Keep your life like a quilt, full of color and always great to look at it. Ale Balanzario. Casi lo olvido, pero bueno, más vale tarde que nunca. Mi primera pagina de mi Quilter journal. 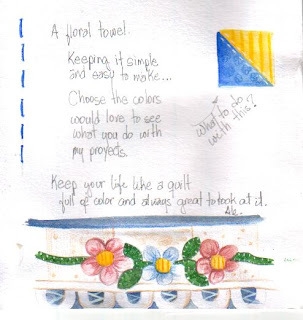 Oh, I almost forget this, my first sketch of my Quilters Journal, hope you like it.